Car insurance really is a costly game. Watch the TV or browse the web and everyone tells you they have the best deal. We have looked around and come up with some great tips, these really can save you thousands of pounds. In some cases we found evidence of saving over £3000 on a policy! Car insurance cost premiums has always grown, but in the last year it has risen at its fastest rate ever. Now according to the Association of British Insurers, its 11% higher than last year! If you compare that to the rise of inflation its almost laughable! The average cost of a policy is over £600 for adults and under 25s a whacking £1400 and above! Third party is not always the cheapest cover. Being the least level of cover you would assume that it’s the cheapest however this is not always the case. Make sure you shop around for all different types of policy from a range of companies. Some companies believe that if you care enough to go for the comprehensive choice then you are showing to be a more caring vehicle owner and therefore lower risk. Dont auto renew. You can save hundreds by shopping around and not just carrying on with the same company.We found evidence of people who had saved over 50% on their policy by avoiding the auto renew and getting their quotes as a new customer would. Its pretty shameful as you would hope as a loyal customer you would get the best deal. Sadly in the insurance industry it seems like this is not always the case. Adding a responsible second driver can cut your insurance costs. This may not seem logical but in some cases adding the second driver will reduce your premium. Sometimes the saving could be up to £1000. This is something that’s been always a consideration for young drivers but can also help all other drivers. Adding someone who is a lower risk dilutes the overall risk on the car. It’s not permitted to add someone else as the main driver if they are not, but adding them as a second driver is fine if they will be driving the car. This option is one of the big wins for many people, saving thousands according to our research. As we have mentioned in our blog articles before, surprisingly your job makes a huge difference to the cost of your premium, calling yourself a PA rather than a secretary for example is one of the changes we found beneficial. This is the type of thing you will need to play around with but it’s staggering that you could save hundreds by the simple use of a word! Beware of paying monthly, this is something people often do to make things easier however in some cases we looked into you can easily be paying up to 25% apr. In comparison to all the other ways you could access the money this is one of the more expensive. We suggest that either you try to pay the policy in full or look into a 0% credit card, assuming you can clear the debt within a year. Ensleigh, Swift Cover and Hastings to have the highest levels of APR charging 44, 35 and 39% respectively. Do not pimp your ride! 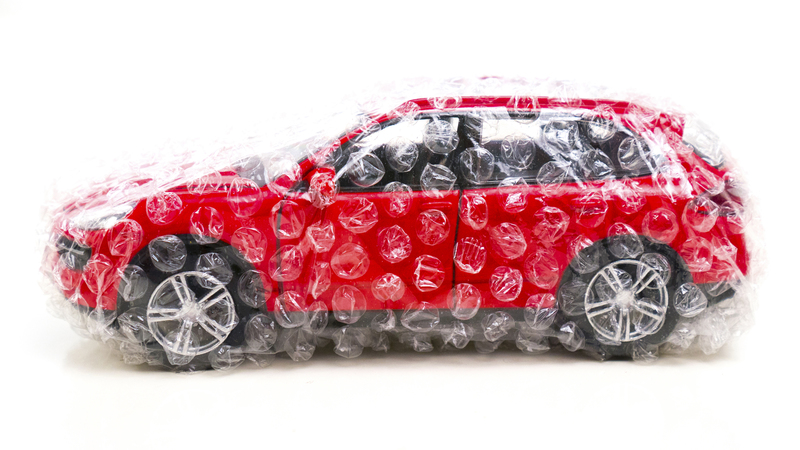 The more changes you make to your car the more fear you will bring to the minds of insurers. Hold back even the slightest modification and you you may well invalidate your policy. Something which may seem as simple as a stereo upgrade can invalidate a claim, the very last thing you want to hear when you crash you cherished vehicle. Don’t just add things to your policy, such as breakdown and warranty, unless you are confident in their equivalent value. It may seem a good idea but sometimes you can get an equal, or even better offer by going direct. Also be careful receiving offers for free on year one and then paying through the nose at auto renewal time. If you want to play the game with these you will have to jump ship every year. Set up the most suitable excess, without breaking the bank of course. Higher excess will usually result in a cheaper policy. Making a claim is always one of those areas that drivers are unsure about. In most cases we see policyholders usually avoid making claims for damage less than £500, the damage to your insurance history as well as next year’s premiums and excesses make it worth avoiding the claim. Take advantage of long lasting quotes to lock in prices. As we have mentioned above insurance premiums are growing, and fast. Now more than ever. You can get quotes now up to 60 days before your current policy expires, and then at renewal time you can put these into place. With premiums growing at rates of up to 12% per year, and the average policy being £633 even a few months makes a difference. Aviva seem to be the best for this. Don’t always assume that you need to wait for a renewal. You can change mid policy. You may find that during the year on your hunt for the best premium you find a policy that far outweighs the benefits of your current one. Especially if you haven’t been careful in the past to find the best options for your circumstance. In most cases, if you haven’t claimed you can cancel and ask for a partial refund. There may be a cancellation fee but with some of the savings that can now be made this could be a drop in the ocean against a saving!